Simply Nerdy Mom: Shine a Light on Autism Awareness: What You Need to Know. Shine a Light on Autism Awareness: What You Need to Know. April is Autism Awareness Month and as a mother of a 9 year old daughter who was diagnosed on the spectrum when she was 2, I can tell you that every single day in our house is Autism Awareness day. Autism Awareness isn't so much for the people who have loved ones on the spectrum or even for those on the spectrum themselves, but more for those who don't know much about it, and there are a surprising number of people who don't know the facts about Autism despite it's growing numbers in the last 10-12 years. 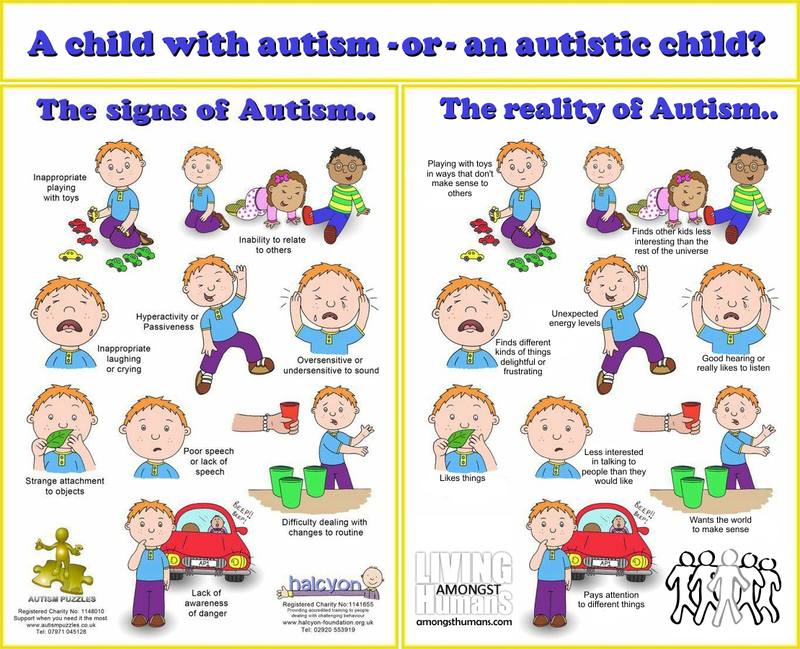 Chances are, you know at least one person affected by the Autism spectrum in some way. Whether it be that they have a loved one on the spectrum or they themselves might even be on it. You can't tell just by looking at someone that they have it and there are many levels to it. Some on the spectrum can't talk at all, others talk and function well, but have problems socially. Let me start off by saying that my reason for this particular blog post is because of the amount of ignorance in the world about how Autism works and what exactly those on the spectrum and their loved ones go through on a day-to-day basis. I've ran into people who have said some things that made me shake my head, angered me, and truly upset me. In the end, I feel that these people are this way because they just have no idea. There was a time out at a store when my daughter was three, where she was singing to me quietly in her own language (as they do) at the checkout. The man ringing us up looked at me and said "Doesn't she ever shut up?!" Then the time at a wedding where something had triggered her (someone wearing too much perfume, the music being too loud, the lighting...no one knows), and she had a breakdown. A guest at the wedding was overheard by my husband saying that the parents of the child, as well as the child, deserved to be slapped. There was the doctor (that we quickly dropped like a bad habit) that told us that Autism isn't real and we had been making up a fake diagnosis. Too bad we had paperwork to back up this diagnosis and Autism is VERY real. And of course the rude woman who made snide remarks about my husband and I having to take care of my daughter for the rest of our lives because apparently Autism makes her incapable of being a "normal" human being. Look, I'm not going to lie, I wanted to smack each of these people in the face with a brick. You know what, though? What would that really solve other than temporarily settling my anger at their ignorance? These people are the reason Autism education needs to be out there. My child's ticks and breakdowns aren't a sign that we are bad parents. A breakdown is different than a tantrum. A tantrum happens when a child does not get their own way. A breakdown can happen for a number of reason, but mostly happens when a child is over stimulated. Remember when I said she had one at the wedding we attended? We all know that people who douse themselves in fragrance can irritate our senses. Well imagine this for a person on the spectrum, who's senses are heightened. If it's bad for us, it's about 30 times worse for them. At all times, no matter where they are, they hear, see, smell, touch, and even taste things differently than we do. A simple change in lighting, such as going from a mall hallway with semi dim lighting to a brightly lit store can be overwhelming to them. This is why we (and them) try to avoid any place or thing that we know might be a trigger. Sometimes, though, it's unavoidable. A store that is perfectly safe one day or one minute, might quickly change if a light is brighter, goes out, someone walks by with half a bottle of Axe Body Spray on, or someone decides to play a song or movie too loud in the electronics department. Typically when our daughter gets this way, whether we are in a store, park, restaurant, or in public in general, we will stop what we are doing and one of us will take her out to the car or just some place calmer or quieter so she can have a moment to calm down. No, I will not let my daughter scream so don't worry about your meal or shopping experience being ruined and please do not tell me how to handle my child or tell me that my child doesn't deserve to be out in public with others. YES! I've actually had people have the audacity to say and do those things! We don't usually go into restaurants because we know that sometimes that's not the best place. On a good day, we might consider it, but we also know that that good day can quickly turn bad, so we are ready for anything. My daughter may be on the spectrum, but she's been reading since she was 3 years old. Not just average sight words either. My daughter could read words like certificate, completion, armadillo... you get the point. At any rate, she's very intelligent. They had tested her IQ in pre-school and found her to be reading at a 3rd grade level and have the IQ of kids twice her age. She can do things herself and she's very good at it. She doesn't need us to "take care of her for life". Many people on the spectrum grow up to be very independent and can live on their own and can even hold jobs and lucrative careers. Most of them are more compassionate and loving human beings than those not on the spectrum and that makes them fantastic people to be around and have in your life. Look around you. I guarantee you run into at least one adult on the spectrum every single day and you don't even realize it. They could be the person ringing you up at the store, they could be the person who makes your appointments at the doctors office, they could be the waiter at the restaurant you visit, they could even be your boss! You would be surprised to know that lot of celebrities and influential people through out history are or were on the spectrum. No one is "stuck" with a son or daughter on the Autism Spectrum. We weren't cursed. We were BLESSED! While some days may be harder than others, the good days make you realize that you were chosen for a special task. That the universe chose you to raise this special child that will harbor incredible talent, a beautiful mind, and a heart big enough to fit the whole world in. Autism isn't a disease. Don't try to cure it, just simply try to understand it.